New Sparkling Glitter Top Stockings! Genevieve ultra sheer 15 denier stockings are perfect for open shoes and sandals. 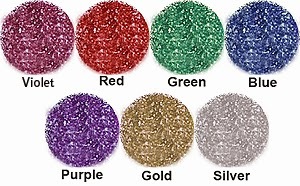 Now available with glitter tops sure to make any outfit sparkle! Stockings have a beautiful and very luxurious 5 1/2" sewn-on French lace top. Our lace top stockings have a wonderful silky feel and are slightly stretchy which enables them to cling nicely to your legs. Available in proportioned sizes that are generously long. Queen sized stockings are also offered in this style in a wide range of fashion colors. Made in the United States.